With the close of wedding season, we wanted to highlight one of our favorite early fall weddings in Omaha, Nebraska. Bright colors, candlelight and an urban venue set the atmosphere for the Friday evening event. 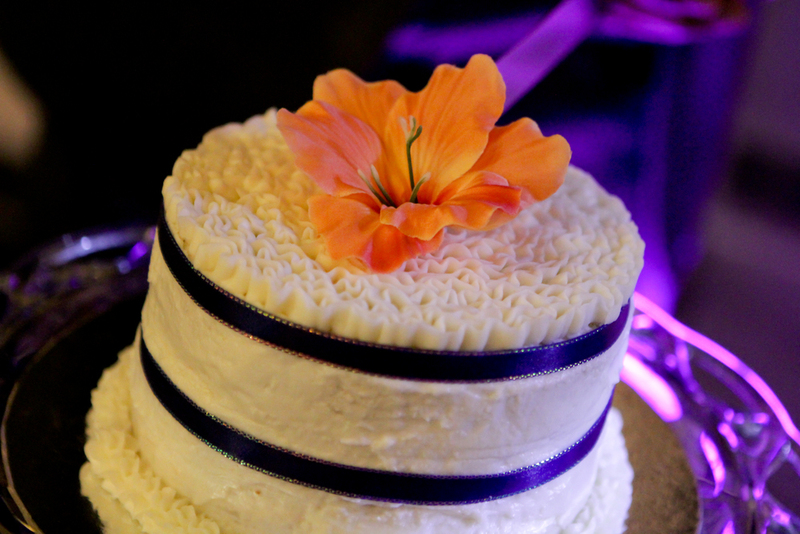 Every detail tied together, resulting in a modern, yet romantic celebration. The invites and menus were designed just for the couple, to reflect their personalities and favorite destinations with a fun flair. The envelopes, as well as all the place cards, were done in classic calligraphy adding a formal touch to the event. The color palette for the bridal party included shades of coral, navy, sky blue, key lime and silver. Each color was brought out in a different way throughout the wedding party attire, and tied in with the wedding and reception decor. 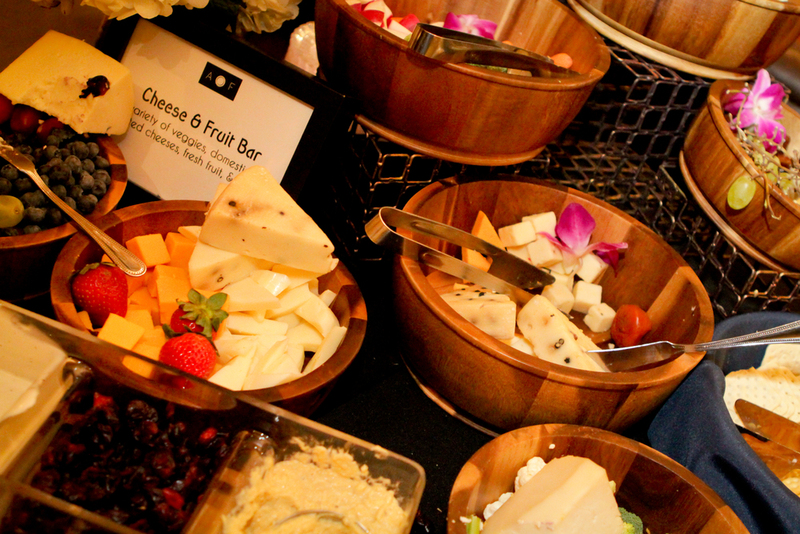 Because the the reception didn't begin until later in the evening, food stations were chosen over a full dinner - providing a variety of cuisines to please all guests. A hosted bar featured a couple signature sips: Marry Me Moscow Mule and Tyler's Whiskey Smash. 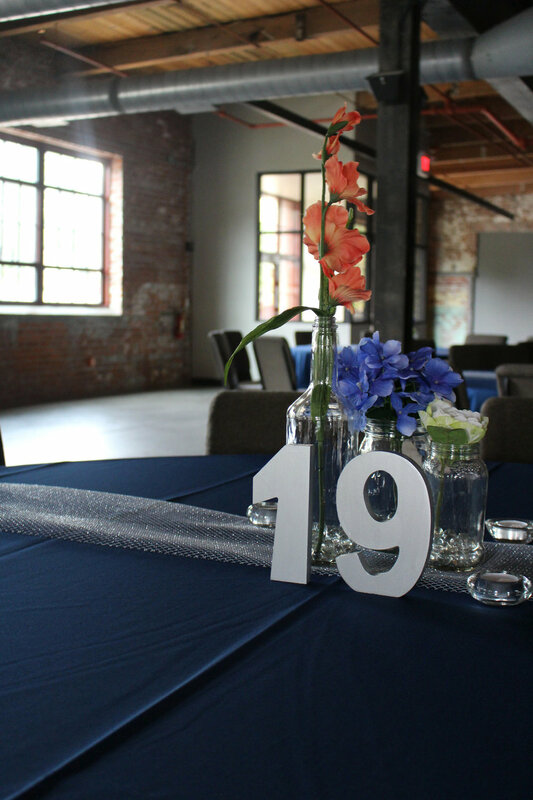 With a beautiful venue with exposed brick walls, high ceilings and steel beams, the couple did not need elaborate decor to transform the space. 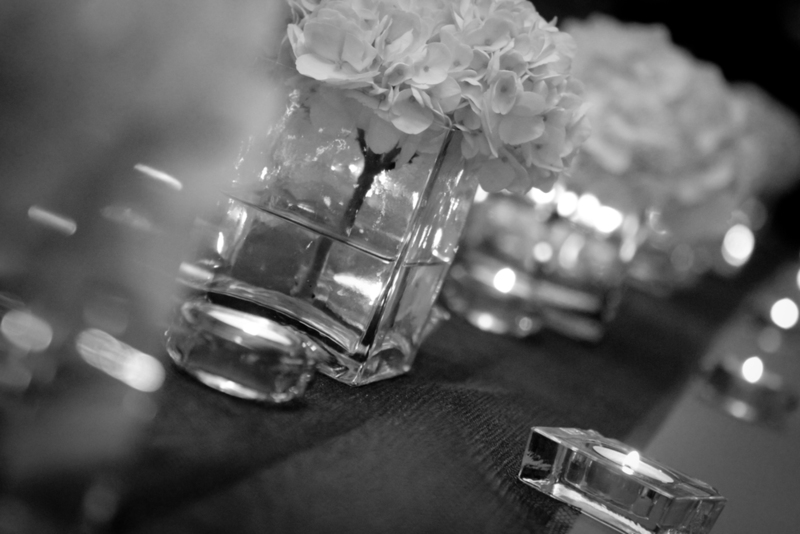 Clear vases and bottles, hydrangeas and candlelight set upon a sparkly runner completed the guest tables. Elements of wine (one of the couple's favorite past times) accented the room, with wine cork placeholders and a wine barrel guest book. Strings of white lights hung over the dance floor to add to the romantic atmosphere. 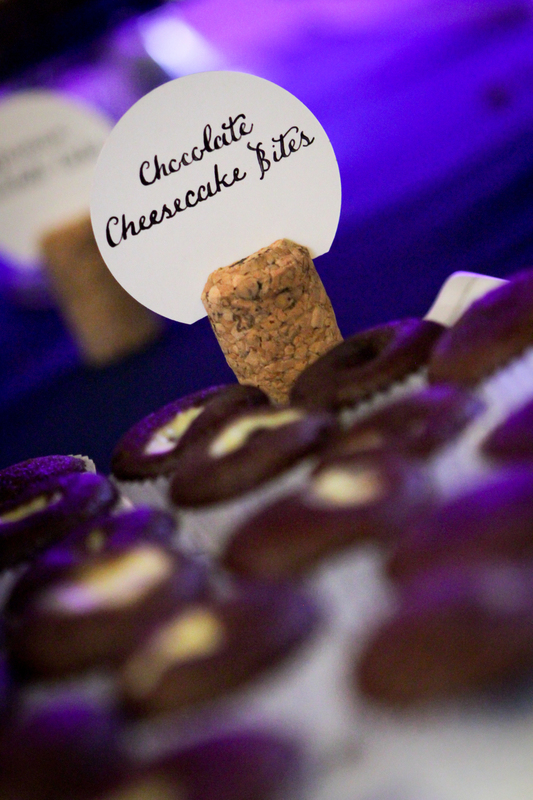 A selection of miniature desserts were displayed, instead of the traditional tiered wedding cake. The spread included some of the couples favorites - Chocolate Chip Cookies and Carrot Cake. Wine corks were used to label each unique, sweet treat. At the end of the party, the couple's closest friends and family sent them off as Mr. and Mrs. with a sparkler send-off. Venue: Omar Bakery Building. Photography: Adam Streur Photography. Event Design: Pop, Fizz, Clink Events. Wedding Dress:...... Bridesmaid Dresses: Donna Morgan. Groomsman Suits: Combat Gent. Desserts: Gogi Supenski. Catering: Attitude on Food. Calligraphy: Brenna Malmberg.